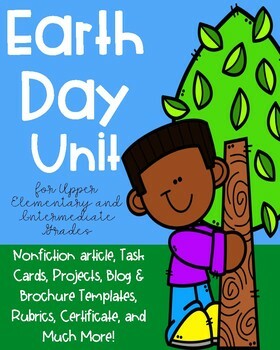 Earth Day Resource for upper elementary and intermediate students. 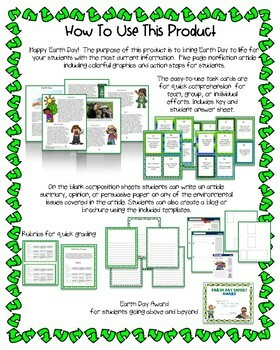 This Earth Day Unit is filled with meaningful and fun activities. 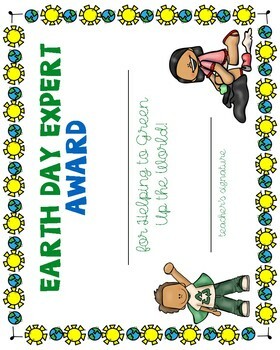 Your students will be Earth Day activists in no-time. Grab this 33 page activity packet . It includes a 5 page (1,000 word) expository article, 24 question task cards, blank writing template, blog template (including example page), brochure template, grading rubrics, and student certificate. Empower your students to become global citizens by teaching them the current environmental issues today including the history of Earth Day!